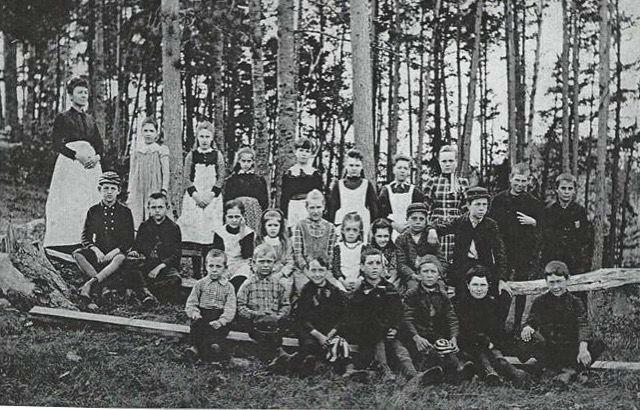 The class of 1890 at Dry Mills Schoolhouse. A committee is now holding a fundraising campaign to rehabilitate the building and has placed canisters in area stores to collect donations. On Feb. 9, 5:30-9 p.m. enjoy a nice night out without having to worry about the kids. Gray Rec will keep ages 4-12 busy during a jungle-themed evening by making lion eyes, snake beads, helping chameleons change colors and much more. Pack a drink and something for dinner and indoor sneakers and they’ll take care of the rest. Another Parent Night out will be on March 16. Kids grades K-6 can join Gray Rec from 7 a.m. to 5:30 p.m. during winter vacation week, Feb. 20-23, when the gym will be open for fun activities, contests and games each day. There will be fun outside, board games, crafts, ping pong tournaments, foosball and air hockey, as well as music, movies and more. To register or to see other activities go to www.grayrec.com or contact Debbie at 657-6762. Attend movies and enjoy a tasty snack in the Gray Public Library’s theater. Movies showing soon are: “Cinderella” (2015, PG), Saturday, Feb.13 at 1 p.m.; “Bridge on the River Kwai” (PG), Tuesday, Feb. 13 at 1 p.m.; “Only the Brave” (2017, PG-13), Thursday, Feb. 15 at 1 p.m.; “Peter Pan” (1953, G), Saturday, Feb. 17 at 10:30 a.m. and “Wonder” (PG) at 1 p.m.; “Guns of Navarone” (1961) Tuesday, Feb. 20 at 1 p.m.; “Kingsman: The Golden Circle” (R), Wednesday, Feb. 21 at 6:30 p.m.; “Same Kind of Different As Me” (PG-13), Thursday, Feb. 2 at 1 p.m. The Library will be having three drawings in the months of February and March to help break up the winter blahs. Every check out gets a raffle ticket. The following prizes will be drawn: Feb. 16 (Chinese New Year), $25 gift card to China Gray; March 1 (Ides of March), $25 gift card Splash N Suds Car Wash; March 20 (first day of spring), $25 gift card to Skillins Greenhouse. All drawings will take place after closing on the selected days. Patrons must have a GPL card to participate. Visit the circulation desk for details. The Gray Historical Society has been chosen by the Gray Hannaford as the latest beneficiary of the Hannaford Cause Bag program. Every time the reusable Hannaford Helps bag with the good karma message is purchased at the Shaker Road Hannaford during the month of February, the Gray Historical Society will receive $1. The Dry Mills Schoolhouse Committee has rolled out its fundraising canisters to place at local businesses throughout the town of Gray. The historic one-room school, which dates back to 1857 and is located on the road leading to the Maine Wildlife Park, has been closed since September 2015, pending repairs to the floor. The town has allocated half of the necessary funds and the committee kicked off a campaign to help raise the remaining money. The Committee has created canisters and placed them at several local businesses, including Gray Shop ‘N Save, Jess N Nic’s, Cook’s Hardware, The Frisky Whisk and others. If you have some loose change (or even some bills), consider dropping them in the canister the next time you are out and about shopping local. The committee is very pleased to announce secure online donations can now be made on the town of Gray website at www.graymaine.org/dm-donate. Donations can also be made via a check written to Town of Gray, with a memo line Dry Mills Schoolhouse and mailed to the Town Office, attn: Katy Jewell, 24 Main Street, Gray, ME 04039. For more information, email drymillsschool@graymaine.org. The 3rd Annual Chili and Chowder Competition will be 3-6 p.m. Sunday, Feb. 18 at American Legion Post 86, 15 Lewiston Road. Bring your best chili or chowder and see if you can wow this salty crowd of food connoisseurs. Also, come down and watch the Daytona 500 while enjoying your favorite dish. The cost is $5 per entry, $5 to sample and judge the competition. Call Jeff Small with any questions at 274-0079. The Swap Shop at the Gray Transfer Station has reopened. All volunteers will now have name tags identifying them and will be in charge of the operation during the time they are on duty. Overall operational control is in the hands of Randy Cookson and he will manage the Swap Shop volunteer process. The Swap Shop is for the residents of Gray only. Read the new Swap Shop Policy on the town’s website at www.graynmaine.org. Tee ball, baseball and softball registrations are now open to boys and girls ages 4-16 at www.gnglittleleague.com. Play starts in April as soon as the fields thaw. The Gray Town Budget schedule for fiscal year 2018-19 is: Feb. 12, 6 p.m. Budget Workshop Budget Review of CIP; School Board Budget Meeting, Feb. 14, 6:30 p.m. Central Office; Feb. 19, 6 p.m. Budget Workshop, Budget Review of CIP; Feb. 20, 7 p.m. Regular Town Council Meeting. Additional budget workshop information, including budget spreadsheets, will be posted on the Town of Gray website at budget-2019. The Gray Water District will have a workshop meeting Monday, Feb. 12, 7 p.m.at 80 Shaker Road.